It's hard to get excited about an XZ2 with an OLED display. This isn't a case of déjà vu -- Sony is indeed launching yet another high-end handset next month. 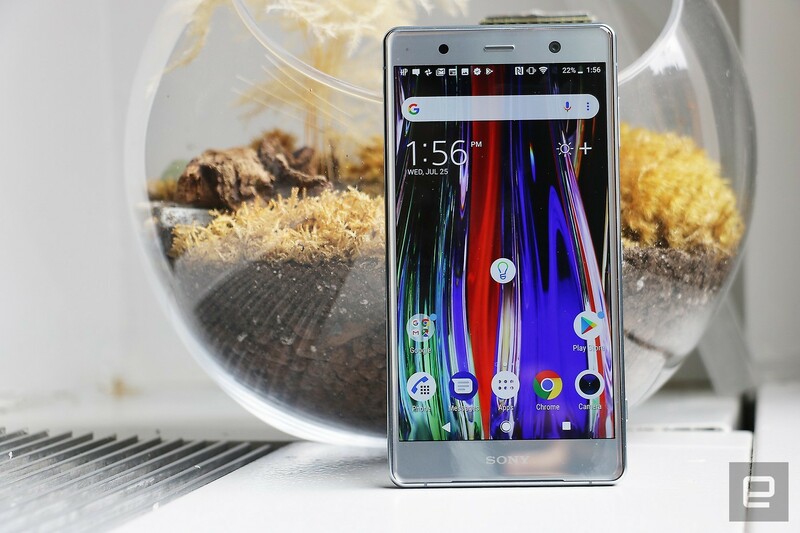 The new Xperia XZ3 is the latest in Sony's rapid-fire approach to smartphones, first announced just a month after the XZ2 Premium went on sale. It's also been less than six months since the Xperia XZ2 hit retail, and in many ways, the XZ3 is a repackaged XZ2 with a bigger and better display. It's a unique device for Sony, though, being the company's first handset with an OLED screen. I'm just struggling to see why we, the consumer, should care. Sony’s Xperia XZ3 is the six-month-old XZ2 with a slightly better OLED display and an improved selfie camera. That still makes it a good-looking, high-performing flagship, but the XZ3 doesn’t bring any unique or interesting updates to the table to justify its expensive price tag. Be the first to review the Xperia XZ3? For its first OLED handset, Sony employed the expertise of its Bravia TV team. Sony's always pushed its multimedia mastery, highlighting features like hi-res audio support and its X-Reality engine that automatically improves video quality. The XZ3 uses that engine to upscale video and manipulate contrast to faux HDR levels. There's no doubt the XZ3's OLED display is a good one. Colors are vibrant, blacks are deep and it's easy to use in bright sunlight. The glass curves over the edge of the device slightly, similar to the Galaxy S9. And the corners of the display itself are rounded, which is aesthetically pleasing, but occasionally problematic. When you're playing something like PUBG Mobile, for instance, one of these missing corners cuts a little off the minimap. It's a nice display -- and hooray, no notch -- but it's not like I'm in constant awe of it. 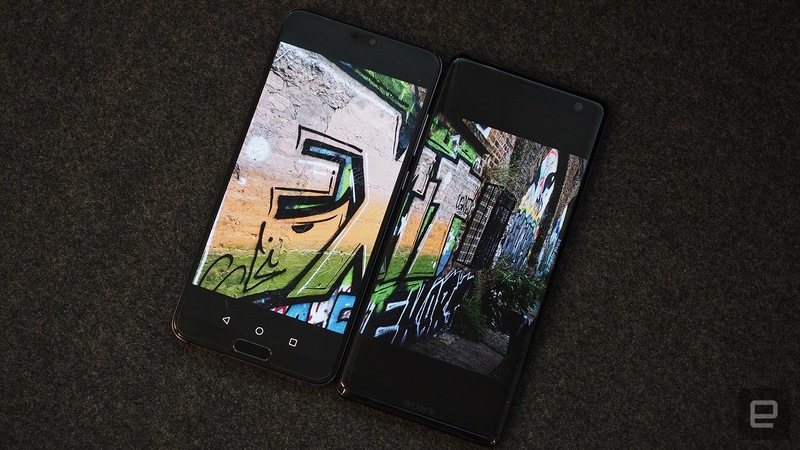 Plenty of other phones have comparable OLED screens, like the Huawei P20 Pro, for example. Put side by side, the minor differences between them are nigh imperceptible. In other words, Sony hasn't pushed the envelope here, and the P20 Pro's OLED isn't exactly an exemplary yardstick, either. On account of its bigger screen, the XZ3 is a bit taller and wider than the XZ2. And even for me and my relatively big paws, it's just a little too awkward to use one-handed. Sony's attempted to address that with a blend of hardware and software that's basically a clone of HTC's Edge Sense. 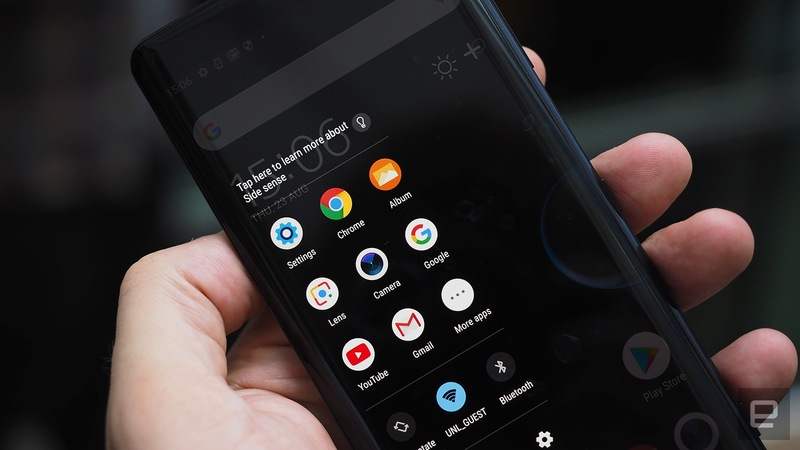 Double-tap either side of the XZ3 with your thumb and a little menu pops up with shortcuts to commonly used apps and quick-settings, like the Bluetooth toggle. The icons are all within easy reach of that same thumb, and the menu will offer different options based on context -- if you agree to let the "Xperia intelligence engine" keep tabs on your usage, that is. Your location, the time of day and day of the week will all influence what shows up in this sidebar. Spotify might be front and center if that's your go-to entertainment app for the commute home. On weekends, though, Spotify might be usurped by Uber if you happen to be at your local bar. I haven't found this "side-sense" feature particularly useful, probably because I'm already programmed to reach for the app drawer every time I want to get at something not on the home screen. And it's not like it takes some feat of dexterity to open. When you actually jump into an app, side sense ceases to be useful. 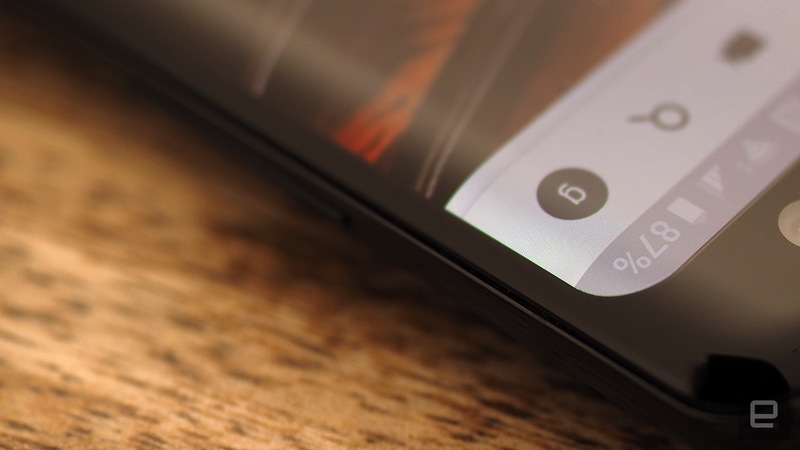 Another feature I haven't really gotten along with is the navigate-back gesture, which you invoke by sliding your thumb up or down the side of the XZ3. It has a mind of its own, registering false positives and ignoring me when I'm making a concerted effort to use it. While these features don't do much for me, I'm liking Sony's new camera trick. The XZ3 will automatically jump into the viewfinder if it thinks you want to take a picture. I've only managed to get this to work when pulling the phone from my pocket and immediately holding it in landscape orientation. Which, to be fair, is the exact motion you'd perform if you did want to take a picture. It's neat and makes shooting a one-step process. In addition to this feature, Sony's redesigned its camera app for the sake of simplicity. Instead of having numerous shooting modes to choose from with only minor differences between them, you now get full auto or full manual. The viewfinder itself is still relatively busy compared to some other camera apps, though. There's an icon to get into the deeper settings like megapixel output, as well as a shortcut for switching to panorama or adding AR effects. Then there's a quick-settings strip for changing flash behavior, exposure, aspect ratio and shutter delay. It wasn't so much a decluttering exercise, then, as it was an opportunity to strip out unnecessary modes. On the hardware front, the XZ3 replaces the XZ2's 5-megapixel selfie camera with a 13MP sensor fitting of a flagship. Naturally, this makes for much more detailed images, and when paired with the portrait selfie mode, it can spit out some quality snaps with natural-looking background blur. This is somewhat unexpected, too, since the bokeh mode designed for the single rear camera does a really poor job of simulating a shallow depth of field. Sony's 3D scanning app has never produced very flattering results when you digitize your own face. On the XZ3, you can now animate these scans with smiles, frowns, winks and such. The pseudo-realistic smirks of your disembodied, angular head are basically the stuff of nightmares, though, and the polar opposite of cute, cuddly Animoji. Otherwise, there's not much new here. 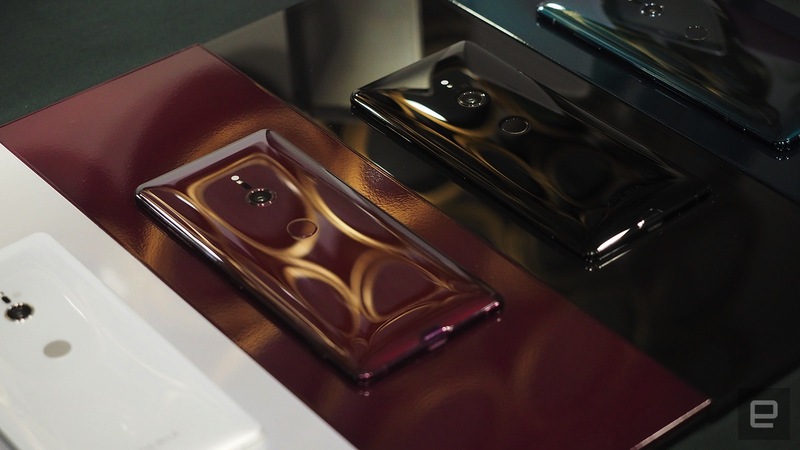 The XZ3 comes in some flashy chrome mirror-coated finishes and will ship with Android 9 Pie, but the XZ2 and XZ2 Premium will get that update in November. With the XZ2, Sony abandoned its long-standing, blocky OmniBalance blueprint in favor of a curvier, more elegant style. The XZ3 may be a little bigger than the XZ2 in height and width, and the OLED display now drapes over its curved edges, but you'd struggle to tell them apart unless you knew what you're looking for. They're both attractive phones, but they also share the same awkwardly placed fingerprint sensor that's just a little lower than where your finger naturally rests. The XZ3 also has the same water and dustproof rating (IP65/68), Qi wireless and fast-charging support. It has the same gimmicky Dynamic Vibration feature that makes the phone rumble in time with music in certain apps. Both lack a 3.5mm headphone jack (there's a USB-C adaptor in the box) and share identical internal hardware. The latter is a plus. You can't really go wrong with an octo-core Snapdragon 845 processor, 4 gigs of RAM and 64 gigs of expandable storage, after all. The XZ3 has a slightly bigger battery than the XZ2 (3,330mAh, up from 3,180mAh), but I haven't noticed any difference in day-to-day use. Like most phones, the XZ3 requires daily recharging, or more frequent trips to a socket if it's glued to your hand rather than resting in your pocket. Though the XZ3 has an upgraded front-facing shooter, it wields the same 19-megapixel Motion Eye primary camera as the XZ2. It's uncommon to find flagships without a dual-camera array these days, but the single sensor is a capable one all the same. Pictures are detailed, well-saturated and the automatic-exposure/white-balance settings are rarely off the mark. It performs well in low-light, too, but its fancier features are of little use. Just as on the XZ2, 4K HDR clips seem to be just overexposed versions of regular 4K video, and super slow-mo at 1080p is nigh impossible to time correctly as you only get a 0.1-second burst of 960 fps footage. 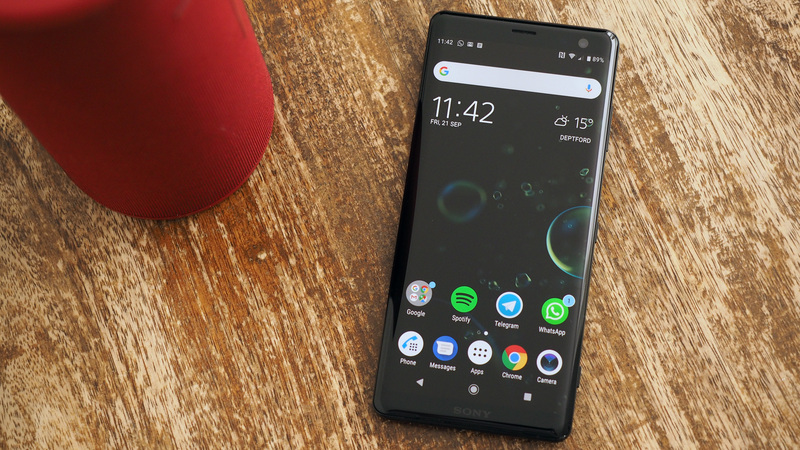 Sony flagships are always on the expensive side, and when the Xperia XZ3 launches next month, it'll come with a $900 price tag (£699 in the UK). Sony has something of a problem at the moment in that it's flooded the market with high-end handsets over the past six months, making cannibalization unavoidable. 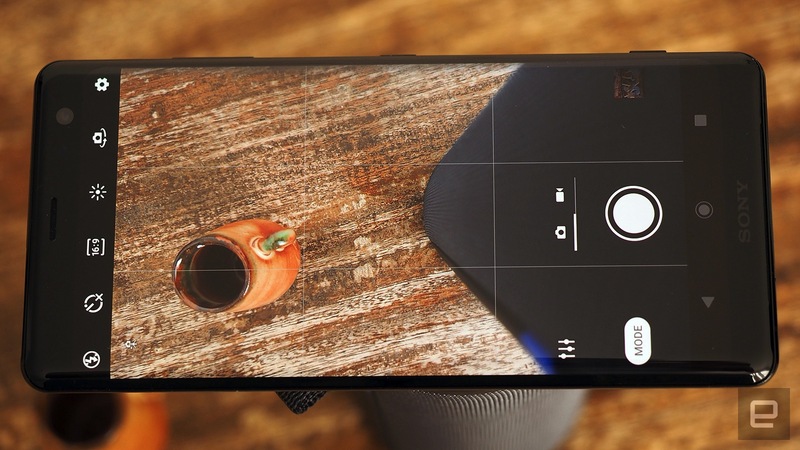 If you can summon the strength to live with a slightly lower-definition LCD display instead of an OLED panel and a 5MP selfie cam instead of a 13MP sensor, then you can save yourself $200 and grab an XZ2 instead. Also, if you actually want the best Sony has to offer right now, then you're going to need to rustle up another $100 and go for the $1000 XZ2 Premium, which boasts a 4K display and dual primary cameras. What's more, $900 is money-is-no-object kinda money. The new iPhone XS starts at $999, as does the Galaxy Note 9. The Galaxy S9 and S9+ are on sale right now, starting at $620 and $740, respectively, and both these devices are arguably better all round than the XZ3. The S9 has a higher-density AMOLED display, for instance, and the S9+ has two primary cameras: a wide-angle and a telephoto lens. Then there's the LG G7 ThinQ, which you can grab for less than $740, or the OnePlus 6, which starts at just $529 and offers the best bang for buck there is right now. In short, if you've got $900 to throw down on an Xperia XZ3, then you have the kind of spare cash that means you can buy literally any flagship phone, some of which are better on paper than the XZ3 while also being lighter on the wallet. The Xperia XZ3 is a pretty, powerful flagship phone. It has all the performance you need or want, a vibrant 6-inch OLED display and a capable camera. But there's no reason to buy the XZ3 over anything else on the market right now. And for $900, it feels like there should be. Between the XZ2 and XZ2 Premium, Sony's got the high end covered already. It almost feels like its smartphone division got excited about OLED displays and decided to just throw something together. You're not going to be disappointed if you do spring for the XZ3, but that said, you probably won't be disappointed if you buy anything else in the same price range either.